Every year, at the beginning of a new year, I do the same thing a lot of people do, and I swear that in the new year, I'll eat better, exercise, etc. etc. etc. This year, I actually had it in my head that I was going to try the Whole30 Diet. I went to Barnes and Noble and paged through the Whoe30 book, and thought about how I could cut out carbs, sugar, alcohol, all the stuff that's not great for you. 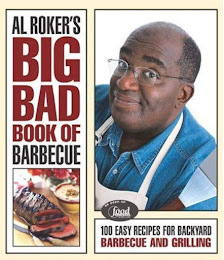 And then, instead of the book about the plan, I bought a cookbook with recipes that can go along with the plan. Because I don't see myself giving anything up, but at the same time, I can always use a cookbook of healthy recipes. 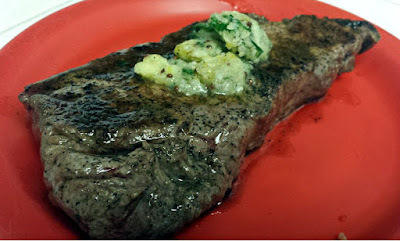 This recipe was amazing.I don't eat steak often, and I cook it even less frequently. 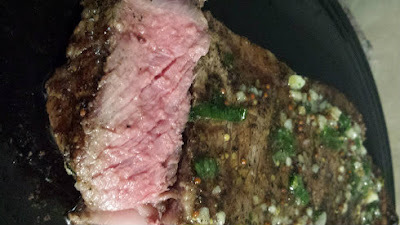 This was the first time I managed to cook a legit medium rare/medium, and it was perfection. 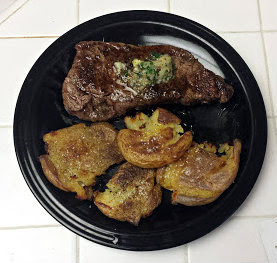 Also, the potatoes that go along with this recipe are something I guarantee I'll be making again, with or without the steak. 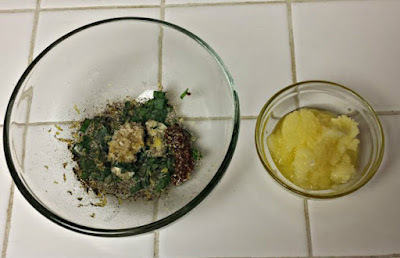 Since this was a Whole 30 recipe (and I think a paleo diet recipe), it calls for, and I used, clarified butter, or ghee. If you don't care about any of that, just use regular butter. First, make the parsley butter. 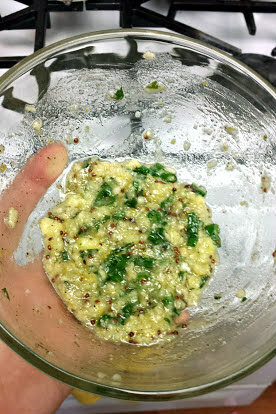 In a small bowl, combine the butter, green onion, parsley, garlic, lemon zest, mustard, salt, and pepper. Stir until well-combined, then cover and refrigerate until needed. Next, make the potatoes. Heat the oven to 400 degrees Fahrenheit and line a large baking sheet with parchment paper. In a large saucepan, combine potatoes, vinegar, and salt. Add enough water to cover the potatoes by about an inch. Bring to a boil, then reduce the heat to medium-low and simmer until potatoes are tender, about 25 minutes. Drain the potatoes and return to the saucepan. 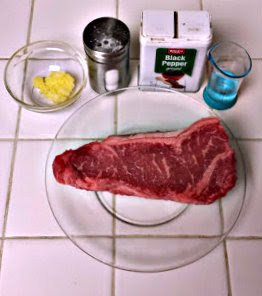 Add the butter and toss to coat. Arrange the potatoes in a single layer on the prepared baking sheet. 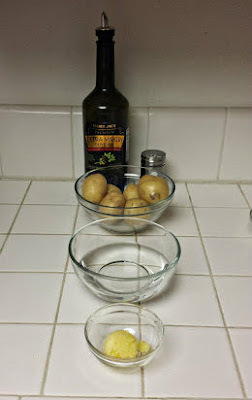 Using a heavy glass, smash each potato to about 1/2-inch thickness. Bake for 20 minutes, then turn each potato over with a spatula. 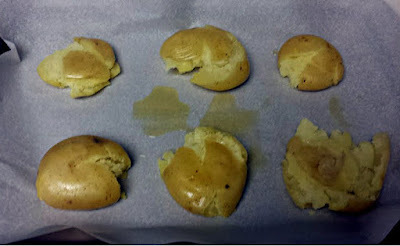 Brush with olive oil, and bake for 15 to 20 minutes more until golden brown and crisp. 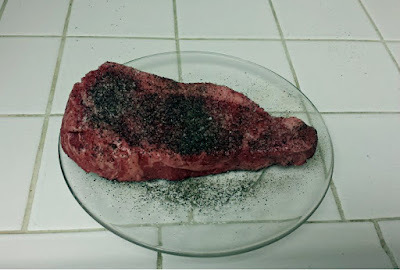 To make the steaks, pat the meat dry and season with salt and pepper. 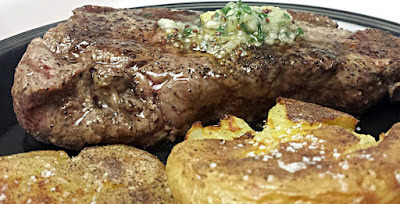 In a large skillet, melt the butter over medium-high heat. Sear the steaks for about 5 minutes on each side, or until the internal temperature reached 145 degrees Fahrenheit. Transfer the steaks to s plate, and put a dollop of butter on top of each steak. Let stand for 5 minutes. Sprinkle the potatoes with vinegar and season with salt and pepper. Serve the steaks and potatoes together. Also, I want to say thank you to you guys for sticking around for 200 posts on Sarah Cooks the Books! I'm not even halfway through my cookbook collection, so I have a ton more recipes to get through, but thank you guys so much for checking out my blog!